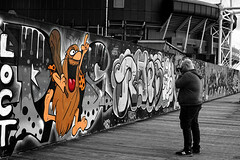 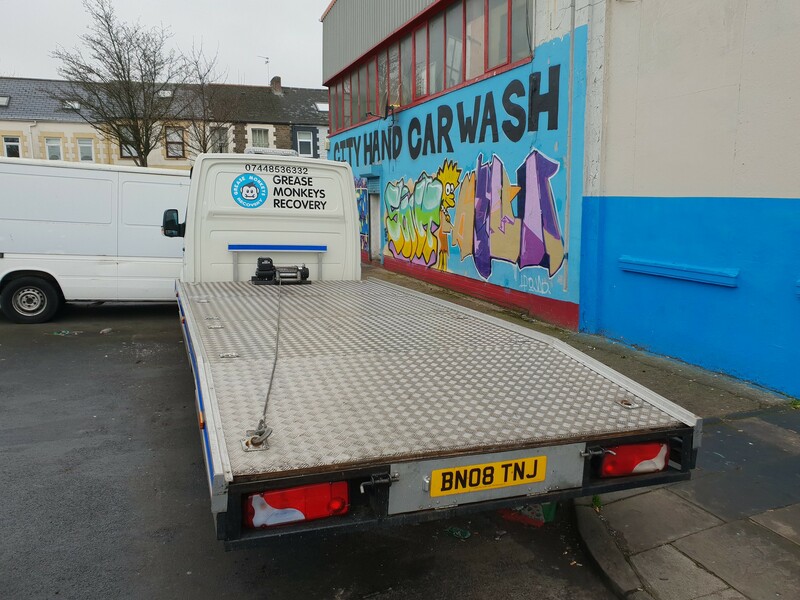 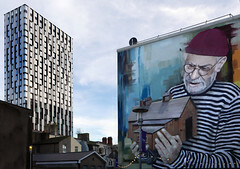 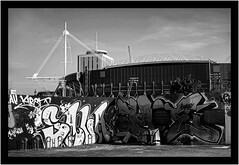 Featuring an area of Cardiff that has seen more than it’s fair share of graffiti and street art over the last couple of decades but this building has always escaped the spray cans…. 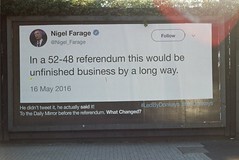 until now! 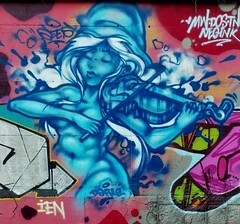 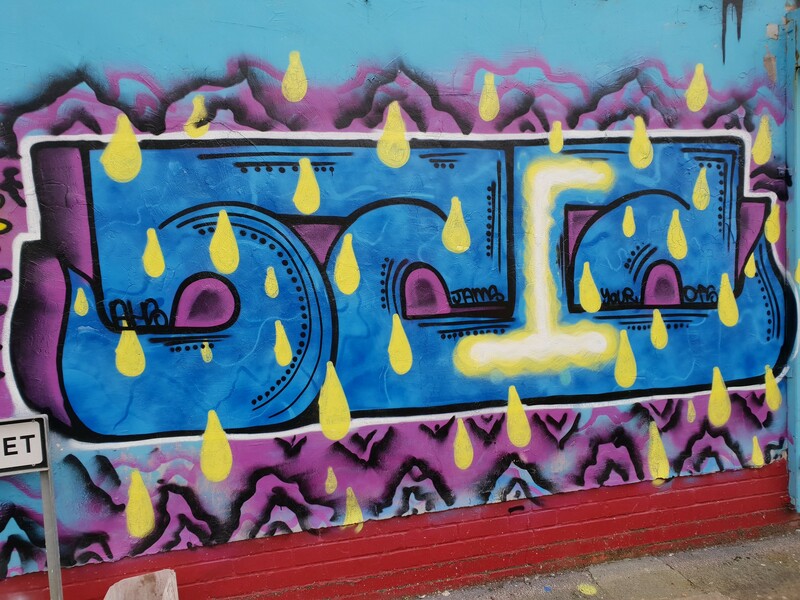 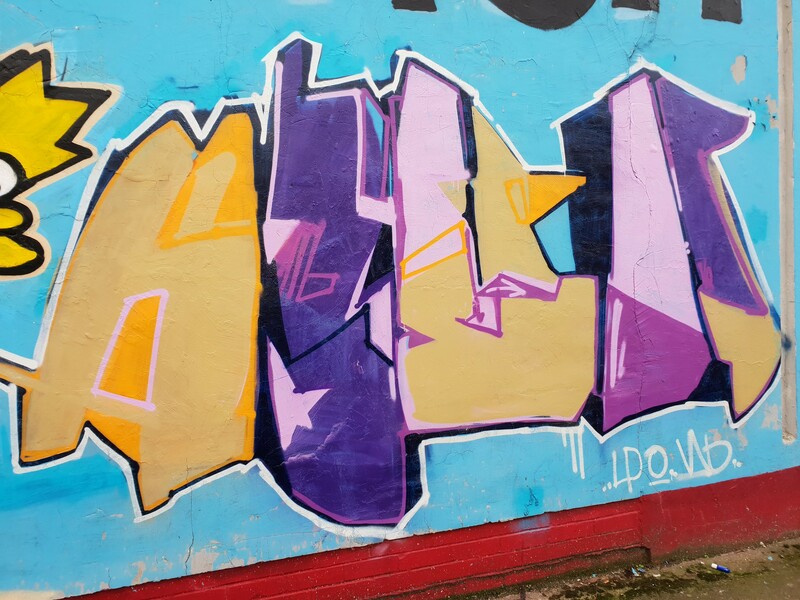 Cardiff based artist Unity/Millimagic secured the wall for a host of local writers to paint at the Roath site located just off the busy City Road. 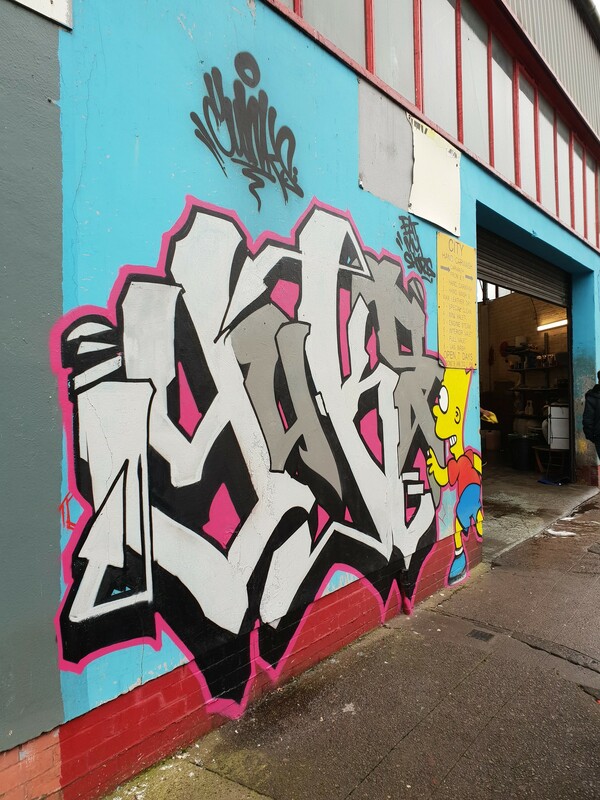 A ‘Simpsons’ theme was struck and over a weekend in January 2019 the wall began to come to life courtesy of Miller Elliot, Sont and Jams along this part of the wall. 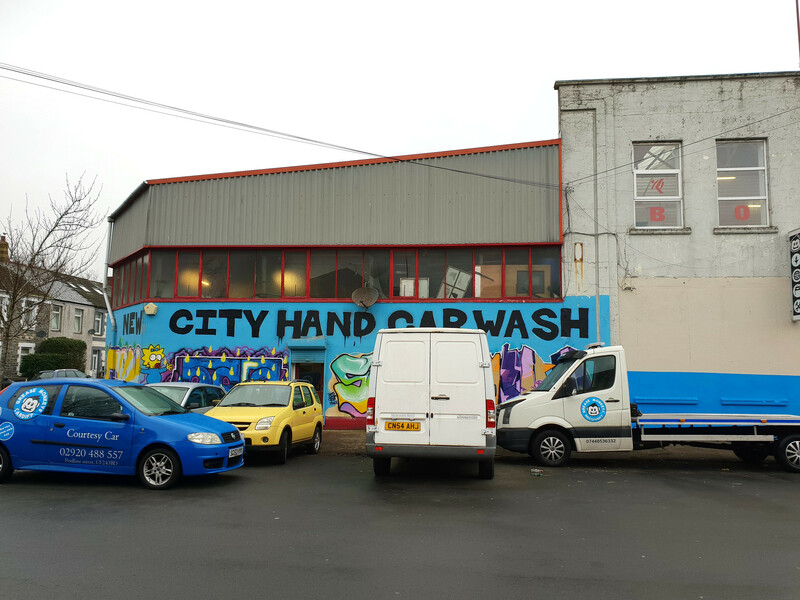 As the building is currently housing a car wash it was incredibly difficult to take pictures without lots of vehicles in the way – but you get the idea. 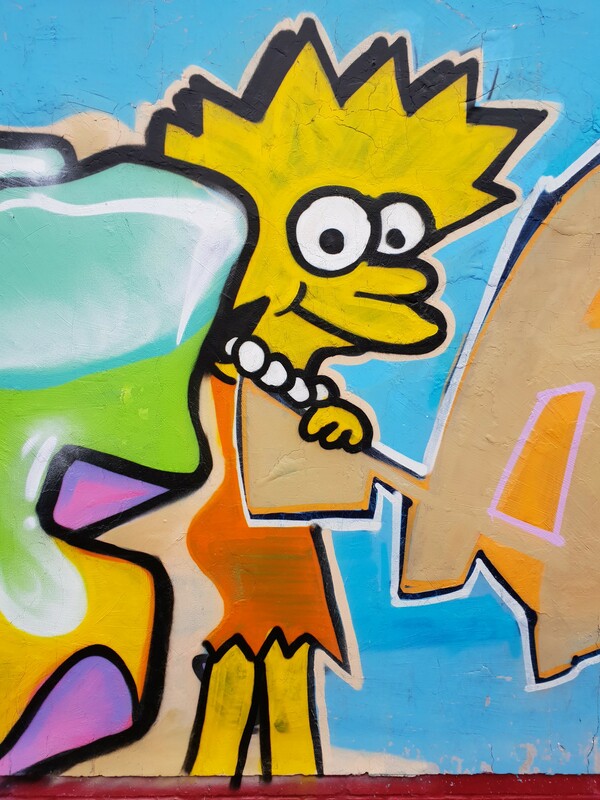 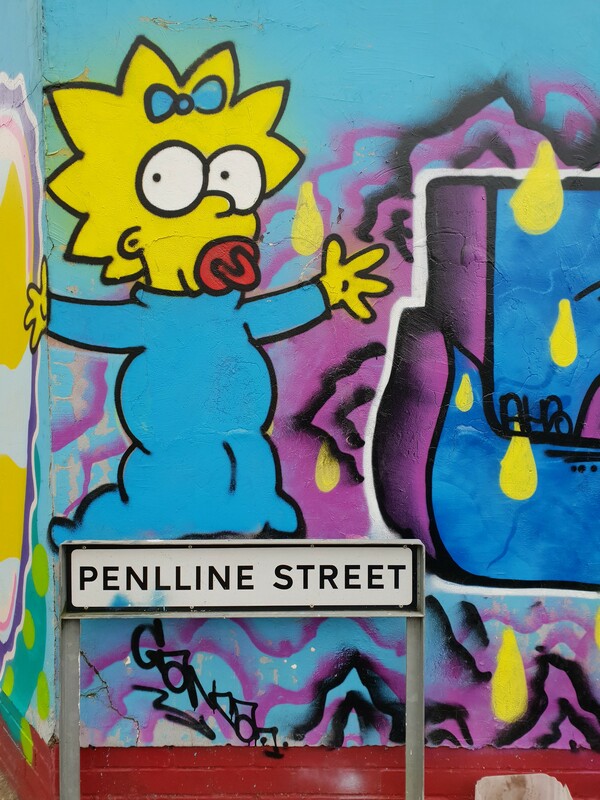 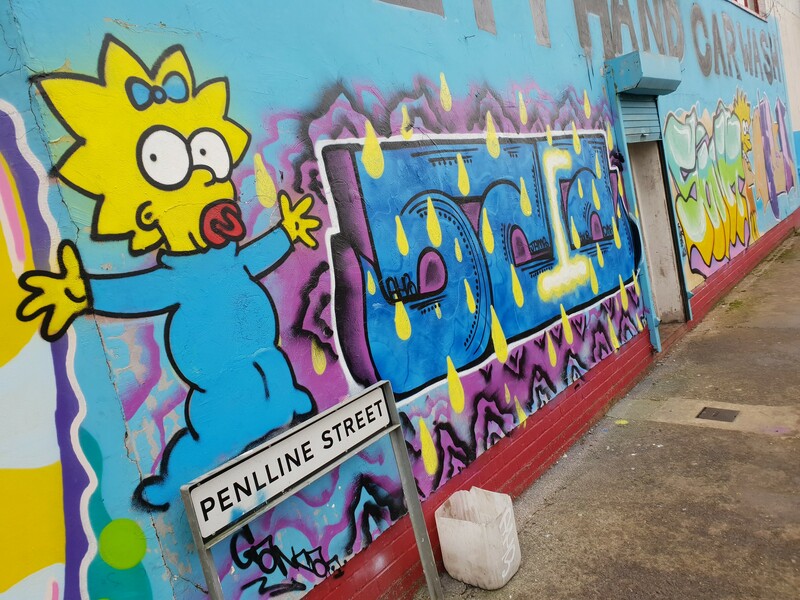 At one end a Lisa Simpson is painted in traditional Simpson’s colouring where at the other a Maggie Simpson is shown joyfully perching on the Penlline Street sign. 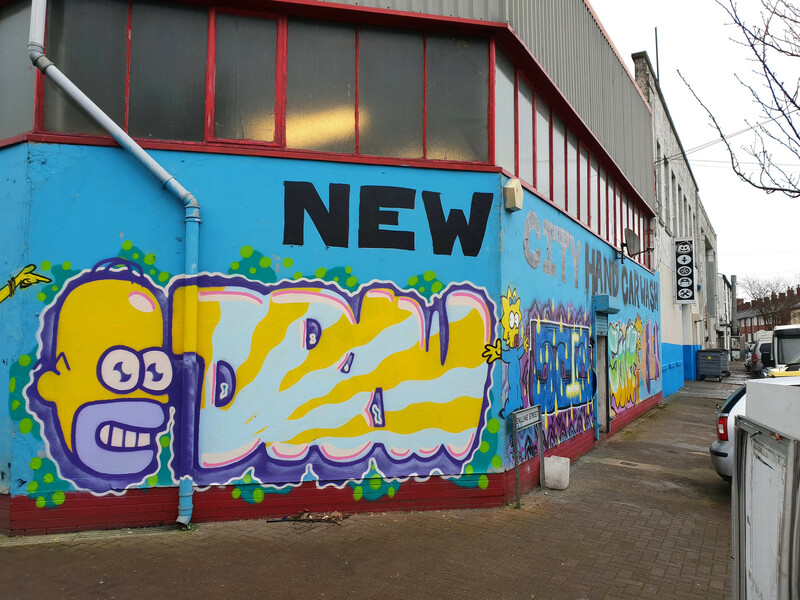 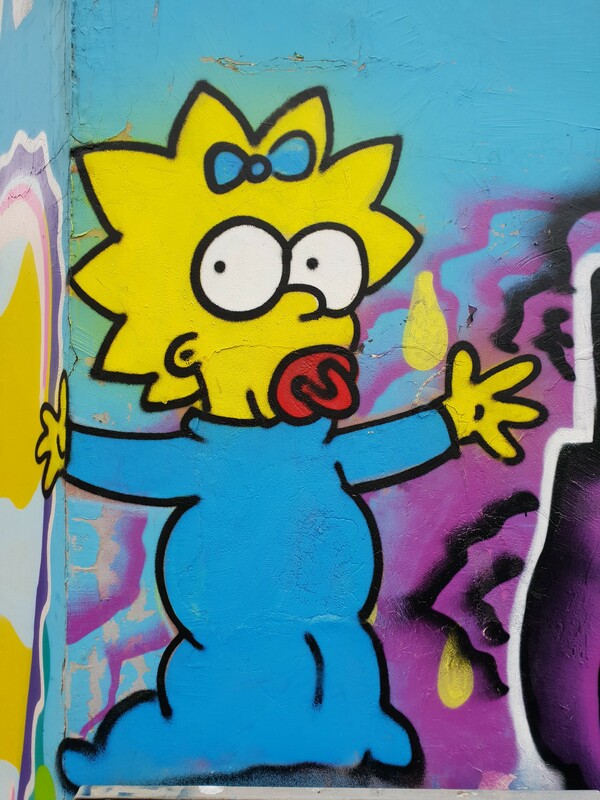 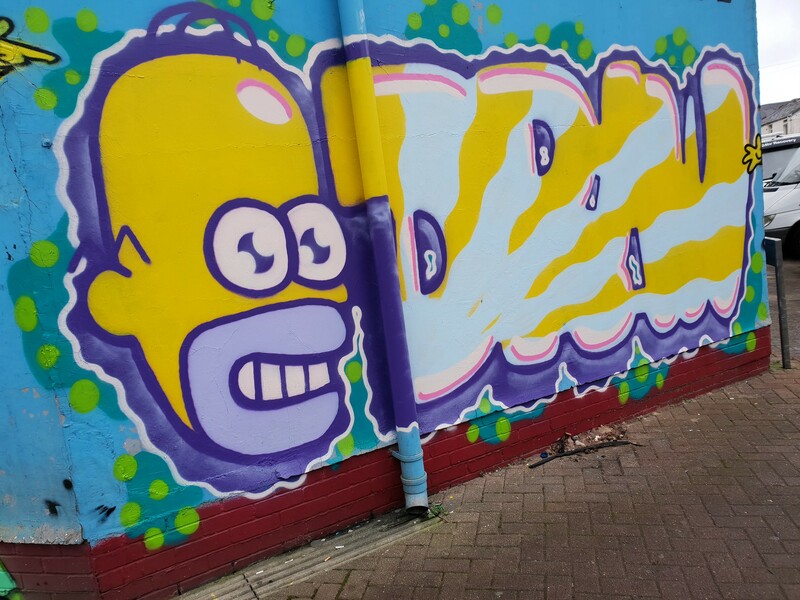 The previously dull wall had attracted some minor tagging over the years but the vibrant blue background has now made for a great canvas to house The Simpsons street art. 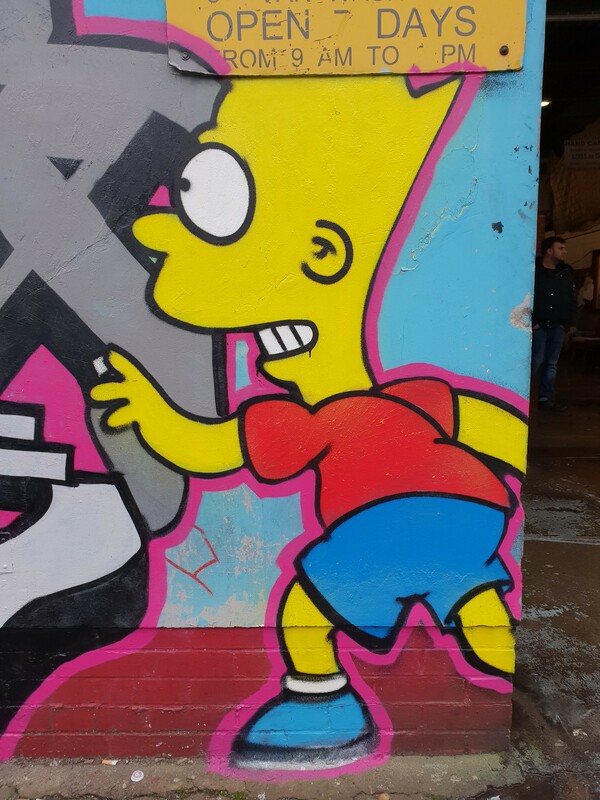 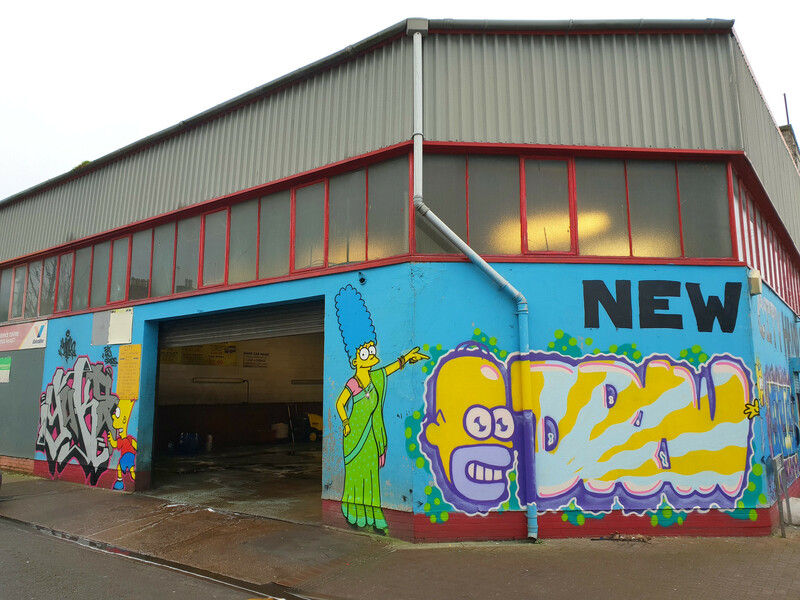 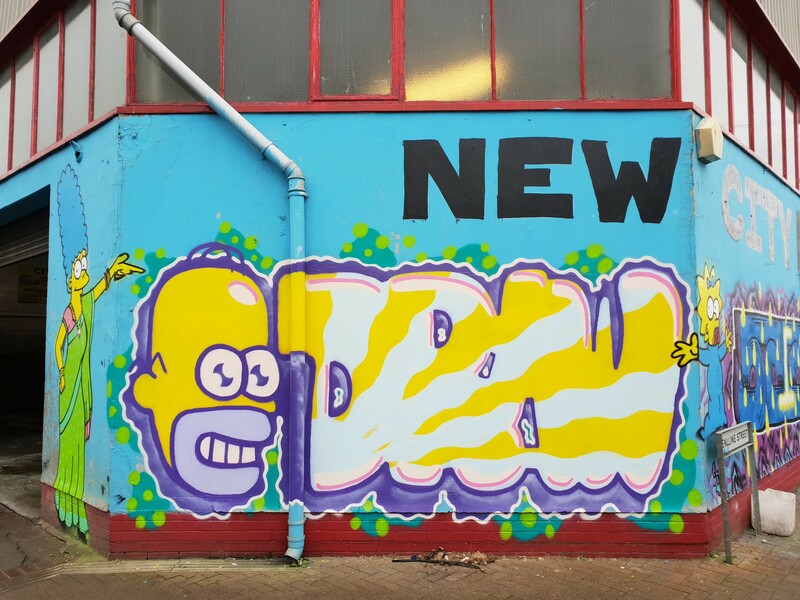 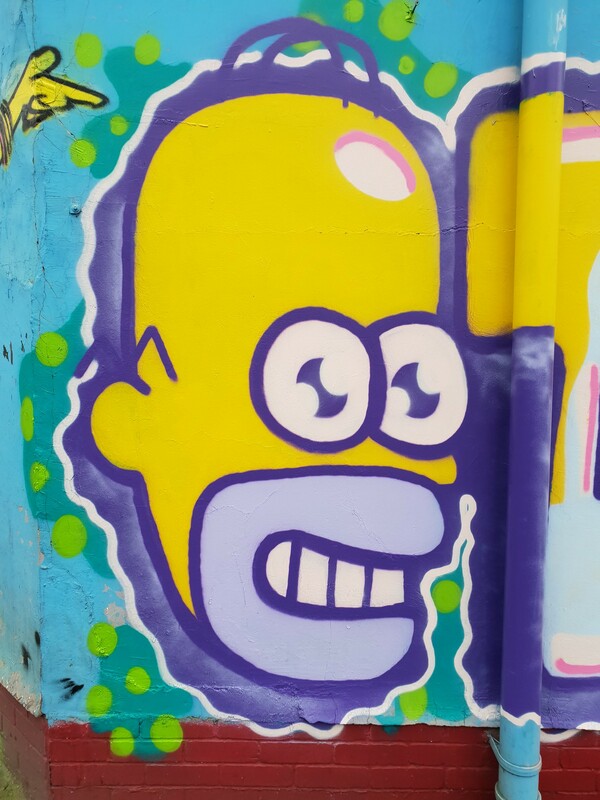 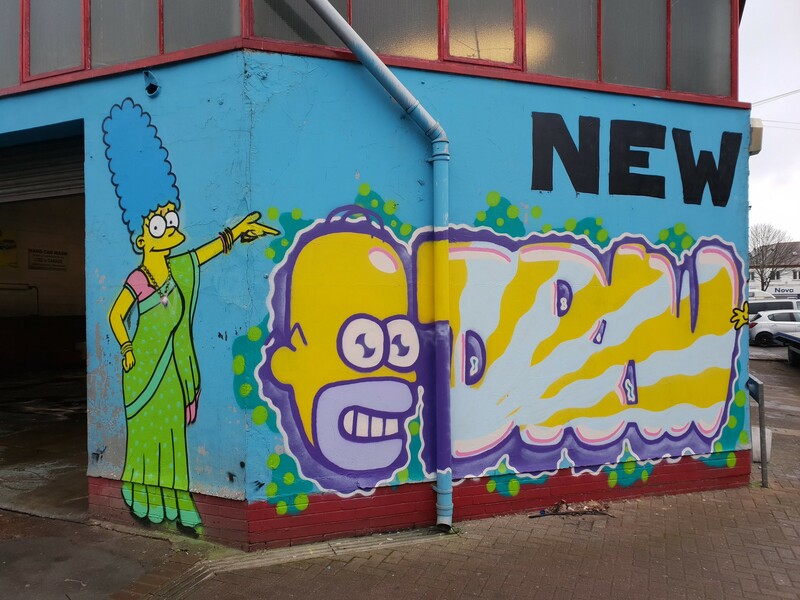 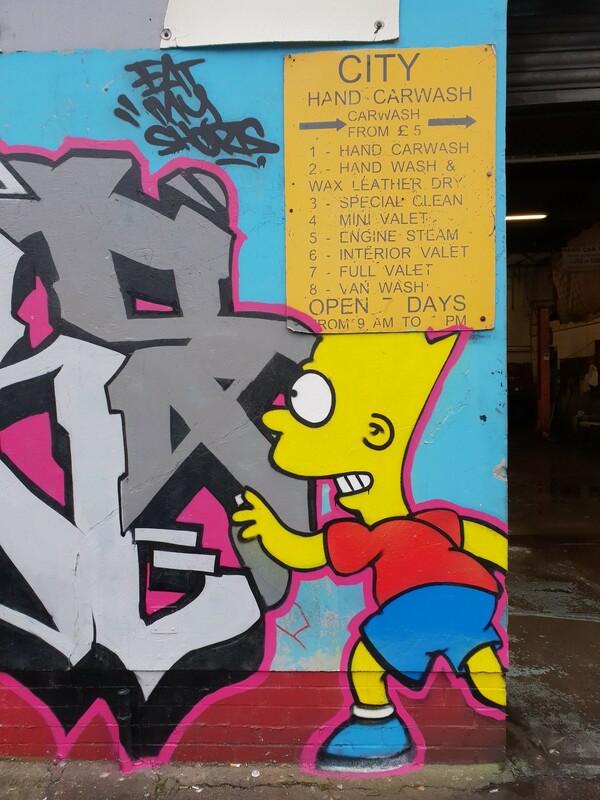 Bristol based artist, Mr Draws, has painted a Homer Simpson along with his name in a bright cartoon yellow on the angled corner junction of the building. 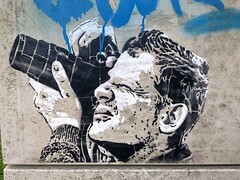 He’s handily recorded a video of his work too. 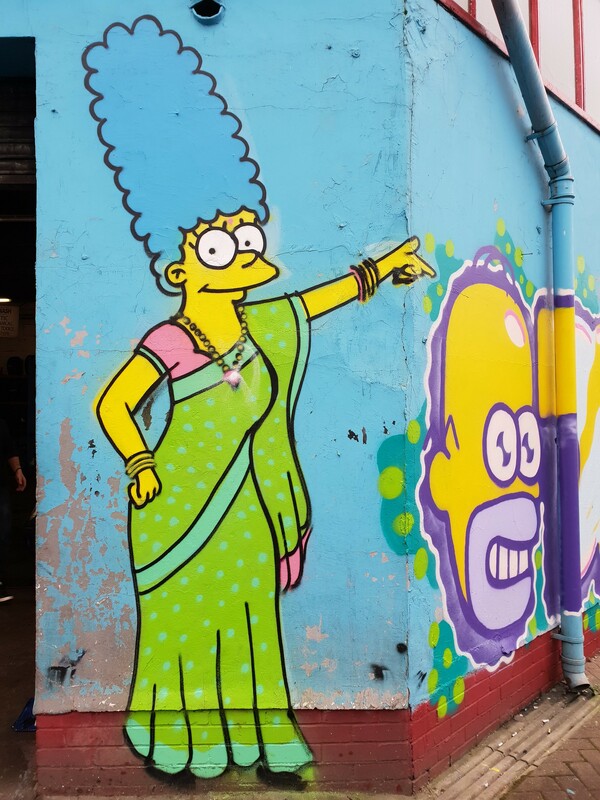 Adjoining Mr Draws’ work is a rather splendid Marge Simpson sporting some Indian attire whilst pointing at Homer! 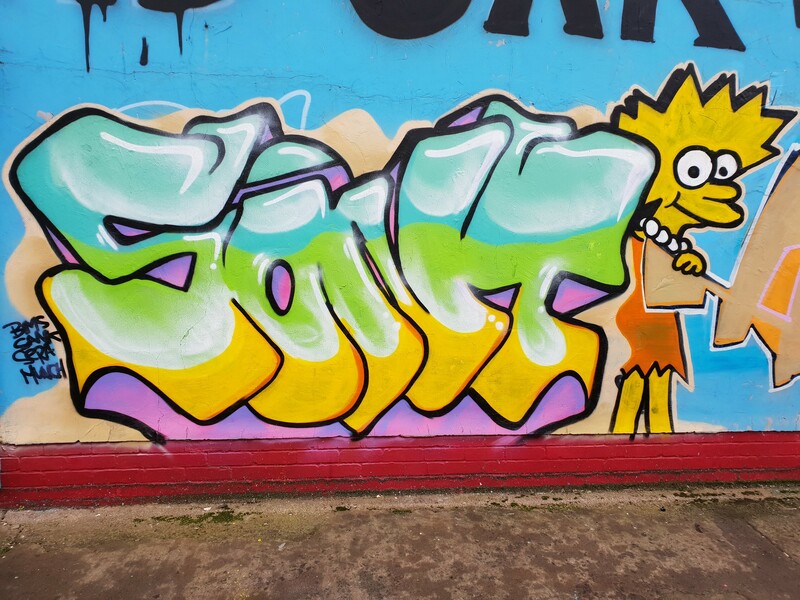 It would be great to find out who did all The Simpson’s characters – they really are great and authentic. 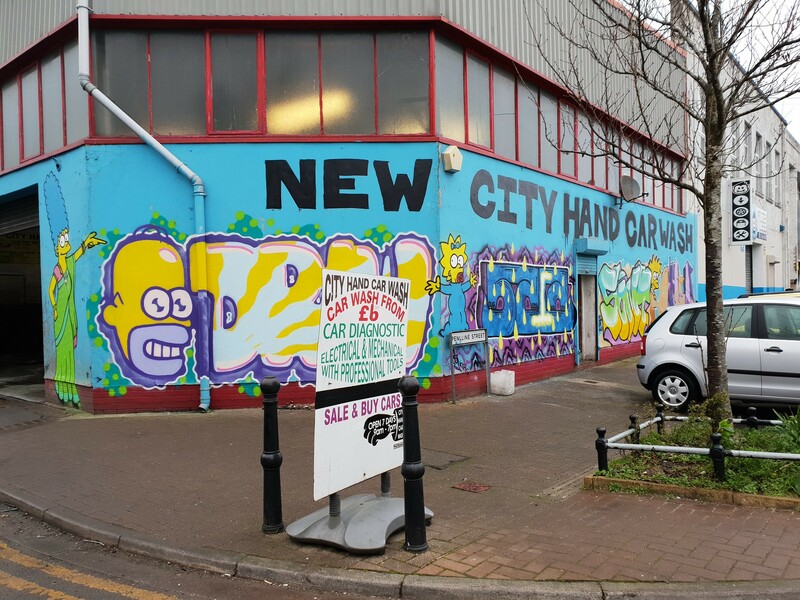 Such a fantastic idea for a colourful, welcoming wall.